The interactive 3D product view supports rotation and zoom. Give your customers more detailed product information that cannot be achieved by traditional 2D images. 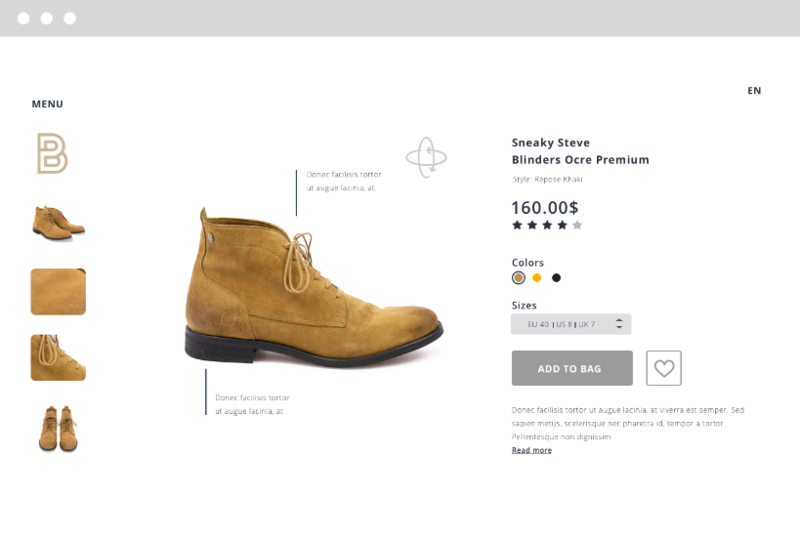 Update and expand on the familiar e-commerce layout by adding an interactive 3D view of your products. You don't have to change anything else - sizes, colours, and checkout can stay right where they are! Give your customer a greater presenation of your product. Introduce them to various details of your product in a more seamless and memorable way, both textual and visual. Do you want to create a showroom that looks like the Amazon jungle? Or would you like to take your customers on top of a skyscraper in New York City? You also have the option to totally immerse your customers in a complete virtual showroom experience. It is compatible with or without a VR headset.